Probably one of the most misunderstood and often overlooked aspects on court is tennis footwork. Sometimes when working with kids, or even adults, they get frustrated because a feed may not have landed in a close enough proximity for them to hit it, without having to step. And while obtaining the form is a primary focus of stroke production, we can’t wait too long before introducing basic tennis footwork. 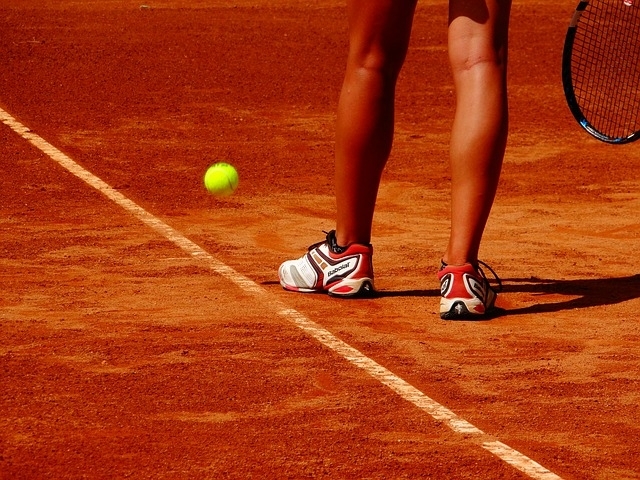 Why is Tennis Footwork Important? There has never been a tennis match played when the player didn’t have to move to the ball. Compound getting to the ball with the other variables such as the incoming shots; spin, power, and distance from you and you’re having to register a lot of aspects of the game. The biggest favor we can do for ourselves, as players, is to have the ability to recognize the best position to be in, in order to execute our best shot. Too often our younger, junior players are content to rely on natural athleticism to get to their shots. They, along with adults, need to realize that they have to train themselves on how to correctly execute tennis footwork. A prime example is a teenage Venus Williams who emerged on the court looking like no other player in the history of the game. Her slim build, long legs and sheer athleticism carried her through her juniors, but she quickly found out she would need a bit more. Using long strides, Venus Williams could run down most balls. Combine that with her six plus feet of height and success didn’t seem all that unobtainable, until she started losing. Arriving at the majority of her shots out of balance and wrong footed, opponents were quick to pick apart her game mitigating her natural speed. Venus then continued to work with Rosman on running corner to corner, split stepping at the center. The drills progressed to sidestepping, moving side to side all the while facing the net. Rosman’s footwork lesson concluded with running sprints. Katherine had to move the entire length of the court leaping on one foot, pausing to hold the landing and then leaping to the next leg. The lesson concluded with high jumps. I hope you took something away from this article and if you did share it forward with a friend as well. Or contribute to the discussion by commenting below.